Google has officially unveiled the Pixel and Pixel XL Android smarphones with 32 GB and 128 GB internal memory options. Google has also announced the price of both smartphones for India, Pixel starts at INR 56,000 and Pixel XL starts at INR 66,000. 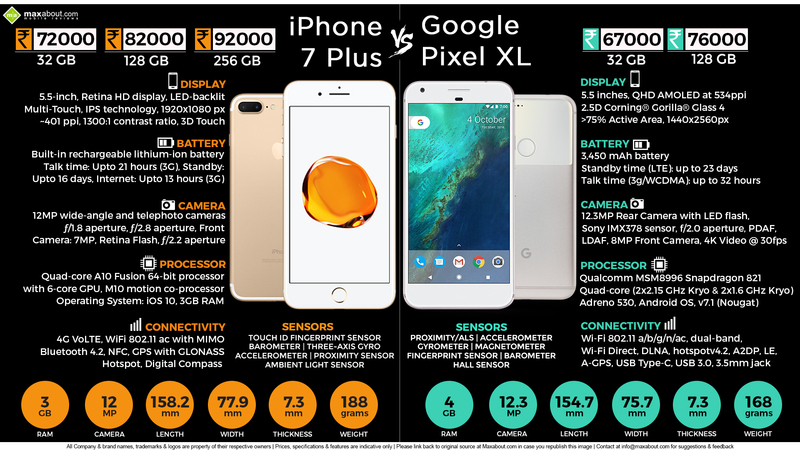 Both the smartphones will be manufactured by Google itself and will also be available online on Google's official website. Availability: October 13, 2016 onwards from Flipkart and 1000 other retail stores like Croma and Reliance Digital. Google would introduce interest-free EMI programs and attractive upgrade offers in order to attract buyers. Also a toll free phone support number would be available to assist Pixel users. There would be 54 walk in service centres in more than 30+ cities in India.